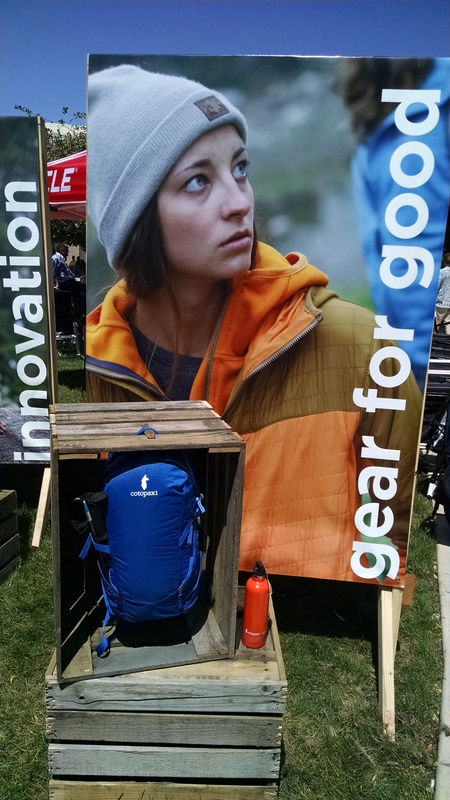 The Outdoor Retailer show is all about manufacturers showcasing their products for Spring/Summer of 2015. Gosh that seems such a long ways away. They also have current available products on display for the retailers and the buyers to view. The Outdoor Retailer show is an exciting event. The hotels get sold out in Salt Lake City, the downtown streets are busy, it is hard to find parking, and there are many parties to attend. I spent some time at the show visiting many shoe companies. I had to stop by Chaco to get some sizing and of course they had some new sandal designs and a new sole that will be available. 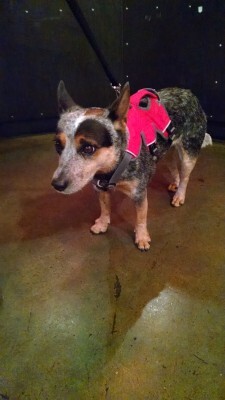 I also visited Sole and they have really increased their line of sandals. There are many cork sandals now available and more traditional sandals that are more stylish. They still offer the heat moldable footbeds that Sole is known for. I had to stop at Dansko and see what is new. There are so many new cool designs and styles. The new flat shoes caught my eye as well as the athletic type walking shoe. Speaking of shoes, Powerstep showed me some arch support options that are available for my plantar pain. The Tiger Tail Massage Stick caught my eye. It is a foam massaging rolling stick. What I liked about this massage stick is that it did not pinch my skin and gave deep pressure. I think this will be perfect when I start increasing my mileage on the bike. Our friends from Cotopaxi had a rustic display outside the Sat Palace with two darling llamas. They showcased their t-shirts, new messenger bags and packs, and their current line. They also had their water bottles they are made to not sweat andkeep liquids cool. 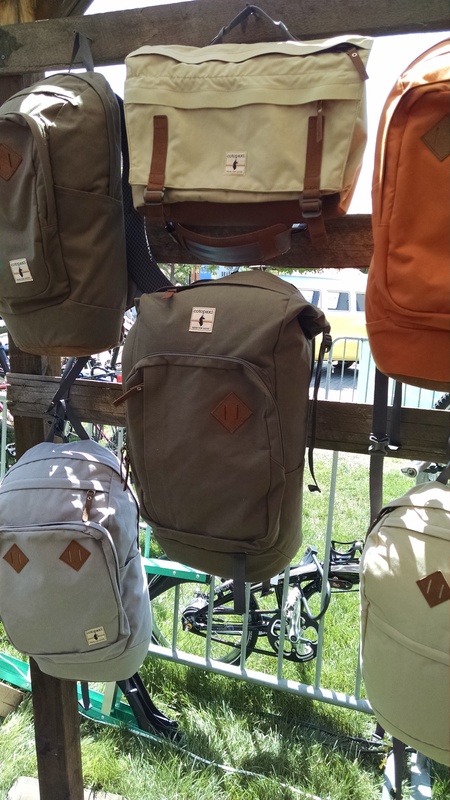 Cotopaxi is a small Salt Lake based company that gives back to a humanitarian effort and uses materials that would have become waste from larger manufacturers. Oh, and then there was the food. If the samples were not enough there were food trucks. JetBoil made a curry dish, Clif had all sorts of samples, electrolyte drinks were abundant, Jelly Belly had the energy and recovery beans, Kind bars, Fig bars, Omnibars (beef) and the list can go on and on. I have no idea how much I walked at the show but I hope I burned some of the calories off from all the snacks I was munching on. I had an interesting conversation with Garmin regarding the 510 and the fenix 2 GPS watch. 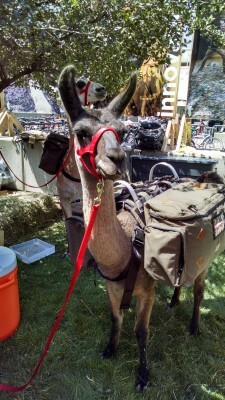 We discussed the integration with Garmin Connect with Strava and Training Peaks and some of the firmware updates. 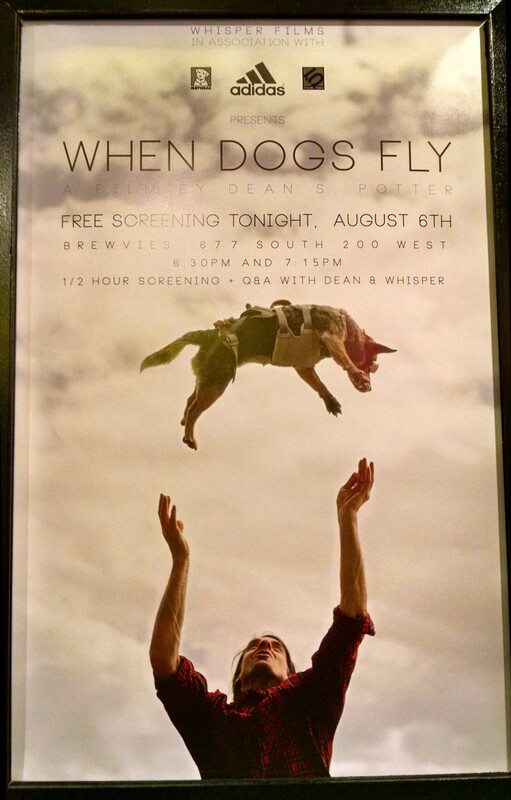 I had the opportunity to attend the Made in the USA product showcase/discussion and the movie produced by Dean Potter (winged base jumper) “When Dogs Fly”. 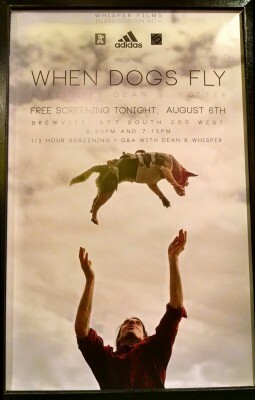 The movie clearly showed Dean’s love and his safety concerns for his base jumping dog Whisper. At the conclusion of the movie there was a Q&A session with Dean. There is so much to see and do at the show. Time seems to move quickly. There are a few thousand exhibitors and over 20,000 attendees. Not only is it an opportunity to view and learn about new products, but it is also a great place to network.